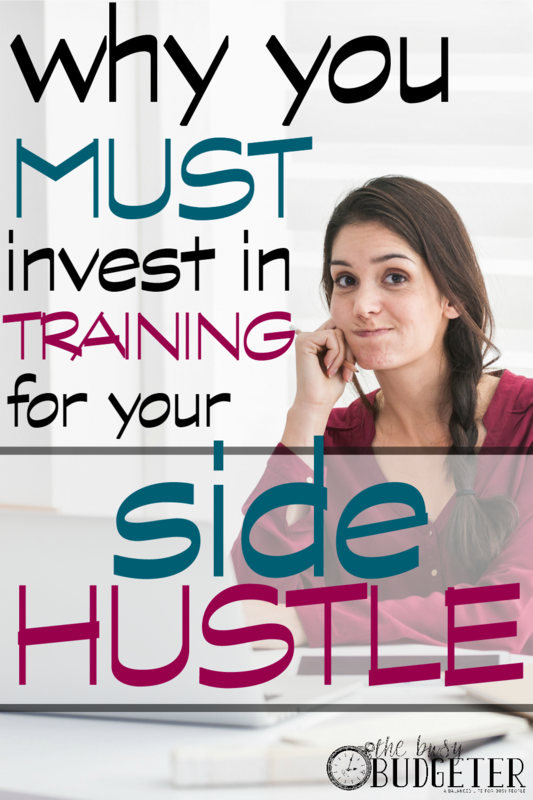 You already know about the importance of a side hustle in getting control of your finances, and you know the potential it has to be your own full time business. What you may not realize is the importance in training in that goal. When you have a side hustle (even with debt! ), you need to reinvest most (if not all) of your early income back into your business to get targeted training on how to grow your income and expand your business. That’s a common theme that I see from people that earn a full time income from their side hustles. 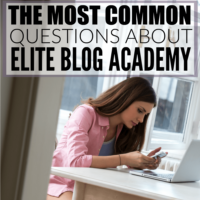 When I started, I bought a crazy expensive blog training class called Elite Blog Academy and then even after that, I reinvested EVERY cent I made until I was earning $1,000/month then switched to 20% of my income after that. Almost all of that money went to training. 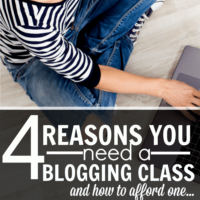 Even now, at full time income from blogging, I reinvest a lot of money just into training. Here’s the thing. If you suddenly announce you want to be a photographer (or a blogger, or a brewery owner or whatever), your declaration means nothing unless you can learn how to do that job and build that business. You can spend $40,000 and go back to college to gain those skills or you can invest in a comprehensive training that teaches you everything you need to know to start and then branch out to highly targeted training based on your weaknesses. That’s what I did. It was a great investment. It helped me learn and grow beyond anything I had dreamed possible. So, where do you find training for business? The best (and cheapest) place is a bundle deal. Bundles take high value training with authors (or creators) that have HUGE numbers of followers (as in- they make me look tiny!) and bundle their course, ebooks, printables etc. together for an extremely limited time (5-7 days) for 97% off. Because, the deal is SO good, they sell a ridiculous amount of them making it a lucrative decision for both the buyer and the author or creator. 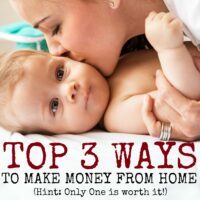 Ultimate Bundles is considered to be the best (not just in this bundle but in all of them- they have a homemaking one that I get every year! ), and they have the Ultimate Start Up Bundle going on right now. The key to bundles (and most people don’t understand this) is to NEVER take all of the courses included! EVER! First off, these bundles have over 70 products included, so that would take years. The goal here is to get all of the training you need for less than you would spend on one class. For example, I bought this year's bundle because it included a class I need to take that’s usually $300. If I buy the bundle, I get that class, but 5 others I want to take for less than a third of what the class would have cost me… See? No brainer! Don’t even attempt to take all of them. I’d choose between one to four of these tops picks (I put a lot of research into these picks) and then scan the full list for anything else that would address your problems. These are my top picks for the 2016 Ultimate Start Up Bundle. Collaborate: The Modern Playbook for Leading a Small Team to Create, Market and Sell Online. I completely freaked when I saw this included. It’s a $300 training that I’ve been waiting to take for a few months. It teaches you how to collaborate with others to work together, produce a product and launch it while doing less work for a better product than you could create on your own. It’s also teaching in my favorite way…step by step in workbook style. I’m SO EXCITED to dive into this! Launch Your Dream: 1st Steps. This is a comprehensive course for someone that needs someone to hold their hand throughout the entire process of building your side hustle or business. This 5-part eCourse walks you through the 1st steps of starting your own business and launching your dream. Learn how to write a business plan, determine your best legal entity structure, master your mindset, protect your trademarks, and develop a marketing strategy for your business. This is a jump start course that focused on quick growth (but hard work! This isn’t for dabblers!). The goal of the course is to bring you to earning $3,100/month within 6 months. The Key to More Customers. This is a $500 course with a cult like following. I haven't taken it (it’s on my list) so I can't give you a detailed review. This is a comprehensive (but targeted) training that applies to pretty much everyone. This should be on your list. Jon’s taking it now. Work Smarter- 500+ Online Resources. This is by Nick Loper who knows everything about running a business (he runs Side Hustle Nation and I’m a huge fan). He recommends everything from tools and resources, most of these are free or low cost. I use TONS of them already. I’m adding a few new ones as I go. Whatever your problem is, Nick has a tool to solve it that's been recommended by top entrepreneurs. High Leverage Conversion Tweaks Crash Course – best for someone who already has a business. Twitter Marketing that Sells – best for everyone that isn't a natural at Twitter but who has an audience that uses it. How to Plan Your Entire Year on One Sheet of Paper – I actually do something similar to her method and I’ll be testing hers out for the next few months. 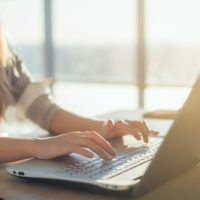 Moving From Blog to Business – best for current bloggers looking to grow. How I Automate Everything with Zapier– Um, did you say automate? Yes, Please! On the list:) I’m obsessed with automating. There are tons of other great options, but those are the ones that were already on my radar or that I plan on taking. You can peruse the full list here. You get a free bonus of The Pinterest Strategy Cheat Sheet with your purchase! That’s the guide that I wrote to explode your Pinterest pageviews and spells out exactly step-by-step the automated system that I used to go from $18/month to over $20,000/month using Pinterest to grow the blog. Forward your receipt to busybudgeter@gmail.com to collect your bonus! Get the Ultimate Start Up Bundle Here. P.S. They have a 30 day Money back Guarantee!